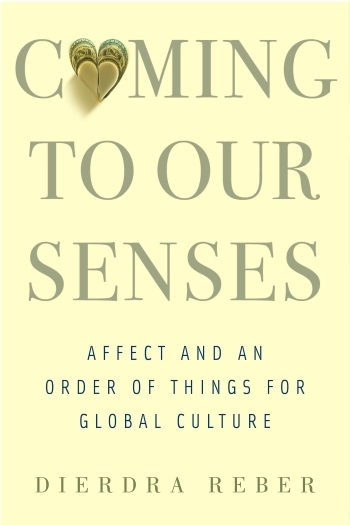 Coming to Our Senses positions affect, or feeling, as our new cultural compass, ordering the parameters and possibilities of what can be known. From Facebook “likes” to Coca-Cola “loves,” from “emotional intelligence” in business to “emotional contagion” in social media, affect has displaced reason as the primary catalyst of global culture. Through examples of feeling in the books, film, music, advertising, cultural criticism, and political discourse of the United States and Latin America, Reber shows how affect encourages the public to “reason” on the strength of sentiment alone. Well-being, represented by happiness and health, and ill-being, embodied by unhappiness and disease, form the two poles of our social judgment, whether in affirmation or critique. We must then reenvision contemporary politics as operating at the level of the feeling body, so we can better understand the physiological and epistemological conditions affirming our cultural status quo and contestatory strategies for emancipation. Is pleasure a rotten idea, mired in negativity and lack, which should be abandoned in favor of a new concept of desire? Or is desire itself fundamentally a matter of lack, absence, and loss? This is one of the crucial issues dividing the work of Gilles Deleuze and Jacques Lacan, two of the most formidable figures of postwar French thought. 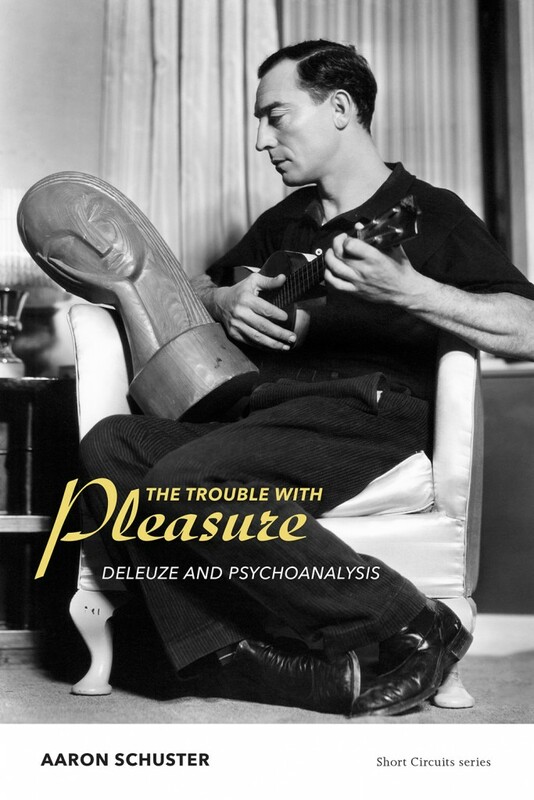 Though the encounter with psychoanalysis deeply marked Deleuze’s work, we are yet to have a critical account of the very different postures he adopted toward psychoanalysis, and especially Lacanian theory, throughout his career. In The Trouble with Pleasure, Aaron Schuster tackles this tangled relationship head on. The result is neither a Lacanian reading of Deleuze nor a Deleuzian reading of Lacan but rather a systematic and comparative analysis that identifies concerns common to both thinkers and their ultimately incompatible ways of addressing them. Schuster focuses on drive and desire—the strange, convoluted relationship of human beings to the forces that move them from within—“the trouble with pleasure. 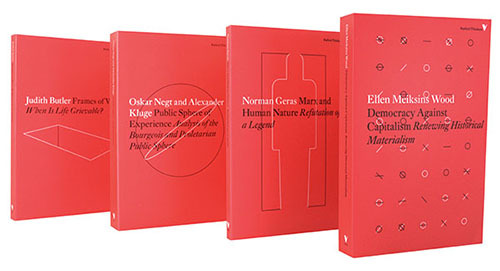 In the last two decades recognition – arguably one of the most central notions of the dialectical tradition since Hegel – has once again become a crucial philosophical theme. Nevertheless, the new theories of recognition fail to provide room for reflection on transformation processes in politics and morality. The Marxist philosopher György Lukács said that the Frankfurt School (Horkheimer, Adorno, etc.) left us with nothing but negativity towards the state of the world. Their work failed to open up a concrete possibility of practical engagement in this world. All too eager to describe the impasses of reason, the Frankfurt philosphers remained trapped in a metaphorical Grand Hotel Abyss(Grand Hotel Abgrund). It was as living and being guardian of lettered civilization in a beautiful and melancholy grand hotel, of which the balconies face a gaping abyss. 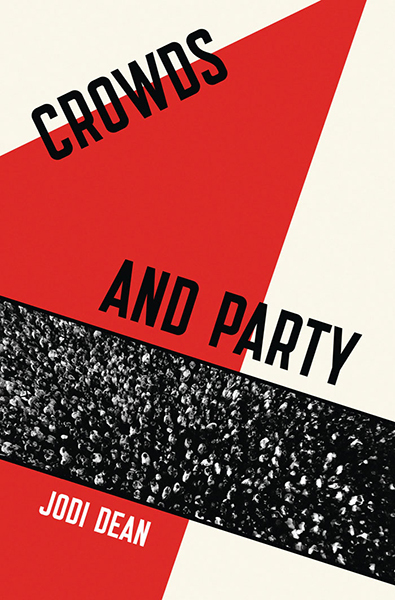 But perhaps in this way Lukács gave – and no doubt without realizing it himself – a perfect definition of contemporary philosophy, namely to confront chaos, to peer into what appears to a certain rationality as an abyss and to feel good about it. 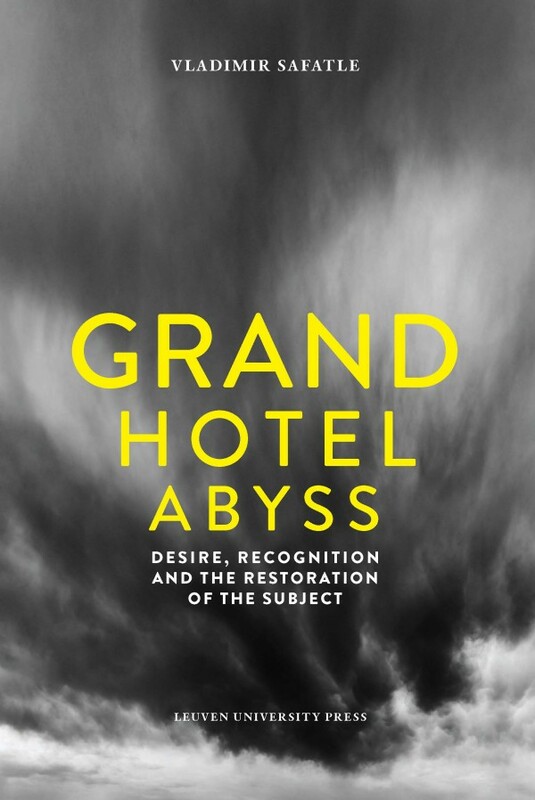 Touching Hegelian dialectics, critical theory and psychoanalysis,Grand Hotel Abyss gives a new meaning to the notion of negativity as the first essential step for rethinking political and moral engagement. 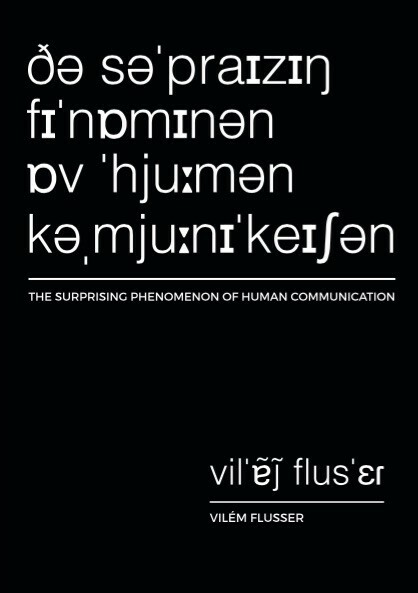 Originally written in both English and French, The Surprising Phenomenon of Human Communicationis a series of twelve essays that Vilém Flusser delivered as lectures in Aix-en-Provence, France, on several subjects ranging from communication media, memory, symbols, meaning, models, art, cybernetics, the Bible, and Brigitte Bardot. 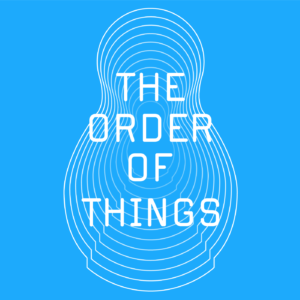 Although written in 1975, this early phenomenological study of changing aesthetic, ethical, and epistemological models, and of the current fundamental revolution in the structure of human communication, is a visionary and provocative polemic that can help us understand, or at least, gain a better view of what is happening in the world around us today: big data, centralised media power, mass media conglomerates, political aesthetics etc. Unpublished for almost forty years, The Surprising Phenomenon of Human Communication, now published for the first time, edited from Vilém Flusser’s original English typescript, is not only an important work from the author’s mid career, just before the development of his seminal theories on technical images and technical imagination, but it also forms a continuous link with his other titles of the same period: Natural:Mind, Gestures, Mutation in Human Relations, Post-History, Vampyroteuthis infernalis, and Towards a Philosophy of Photography. 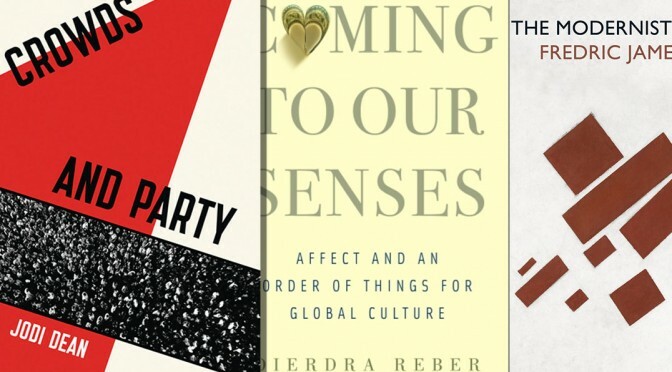 Verso’s latest radical thinkers set compiles great books by Ellen Meiksins Wood, Judith Butler and more. 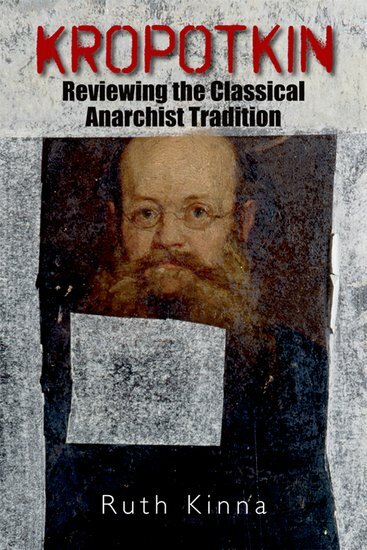 Cultural critic Fredric Jameson, renowned for his incisive studies of the passage of modernism to postmodernism, returns to the movement that dramatically broke with all tradition in search of progress for the first time since his acclaimed A Singular Modernity. 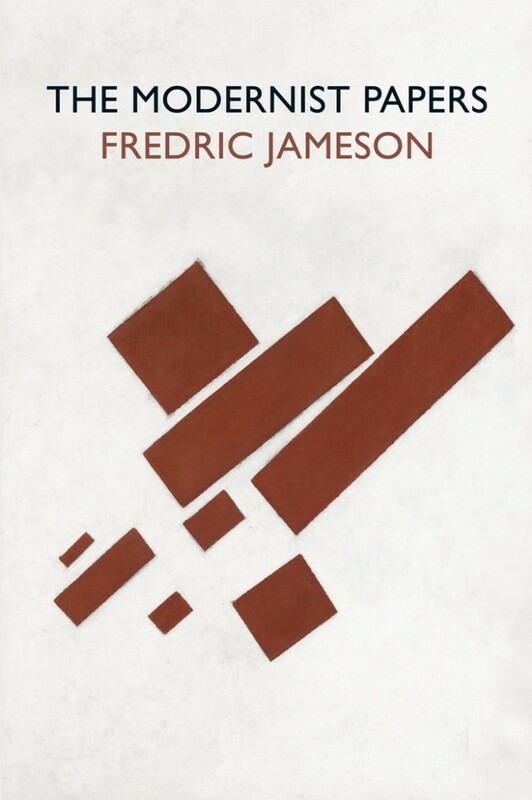 The Modernist Papers is a tour de force of analysis and criticism, in which Jameson brings his dynamic and acute thought to bear on the modernist literature of the nineteenth and twentieth centuries. Jameson discusses modernist poetics, including intensive discussions of the work of Baudelaire, Rimbaud, Mallarmé, Wallace Stevens, Joyce, Proust, and Thomas Mann. He explores the peculiarities of the American literary field, taking in William Carlos Williams and the American epic, and examines the language theories of Gertrude Stein. Refusing to see modernism as simply a Western phenomenon, he also pays close attention to its Japanese expression, while the complexities of a late modernist representation of twentieth-century politics are articulated in a concluding section on Peter Weiss’s novel The Aesthetics of Resistance. Challenging our previous understandings of the literature of this period, this monumental work will come to be regarded as the classic study of modernism. What would happen if pleasure were made the organizing principle for social relations and sexual pleasure ruled over all? Radical French libertines experimented clandestinely with this idea during the Enlightenment. In explicit novels, dialogues, poems, and engravings, they wrenched pleasure free from religion and morality, from politics, aesthetics, anatomy, and finally reason itself, and imagined how such a world would be desirable, legitimate, rapturous—and potentially horrific. 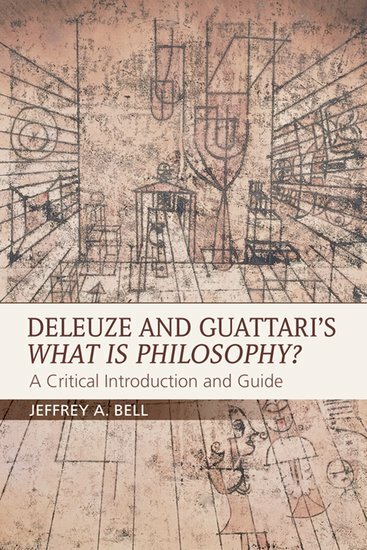 In their final collaborative work, Deleuze and Guattari set out to address the question, ‘what is philosophy?’ Their answer is simple enough: philosophy ‘is the art of forming, inventing and fabricating concepts’. In this book, Jeffrey A. Bell explores what that involves. Crucial to Deleuze and Guattari’s understanding of this task, Bell argues, is the assumption that philosophy is integral to a life well lived. Bell shows that a concept of learning is created through the course of the text, composed of three inseparable components: philosophy, science and art. Ultimately, What is Philosophy? can be understood as a meditation on a life well lived, with this concept of learning at its core.